All the right stuff at the right price. 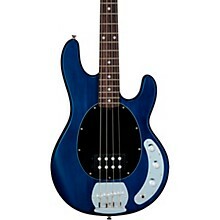 The Ray4 bass is the cousin of the Music Man StingRay 4 bass. 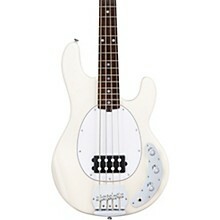 Classic, iconic instruments that defined a generation of bassists since the late '70s. Active electronics, low noise hum bucking pickups, rock solid hardware and a simple, uncluttered look that is instantly recognizable and respected. 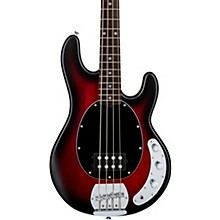 Classic, attractive body lines - Its signature teardrop pickguard, classic control layout, and a myriad of great finishes let you choose just how you want to stand out on stage. Affordable yet amazing - Featuring a 9v powered Active Preamp and individual Volume Hi and Low Cut/Boost controls, Ray4 is a superior choice and incredible value for players of any experience level. Fully adjustable, heavy-duty bridge - Complete control over intonation and individual string height ensures the most comfortable playing experience whether your practicing at home or rocking out on stage. Case sold separately. The S.U.B. 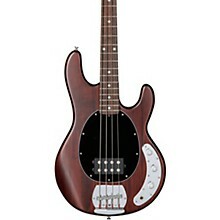 basses share many features with the iconic StingRay basses - which defined a generation of bassists since the late '70s. Order today.